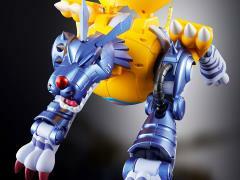 Gabumon Warp! Digivolve to. 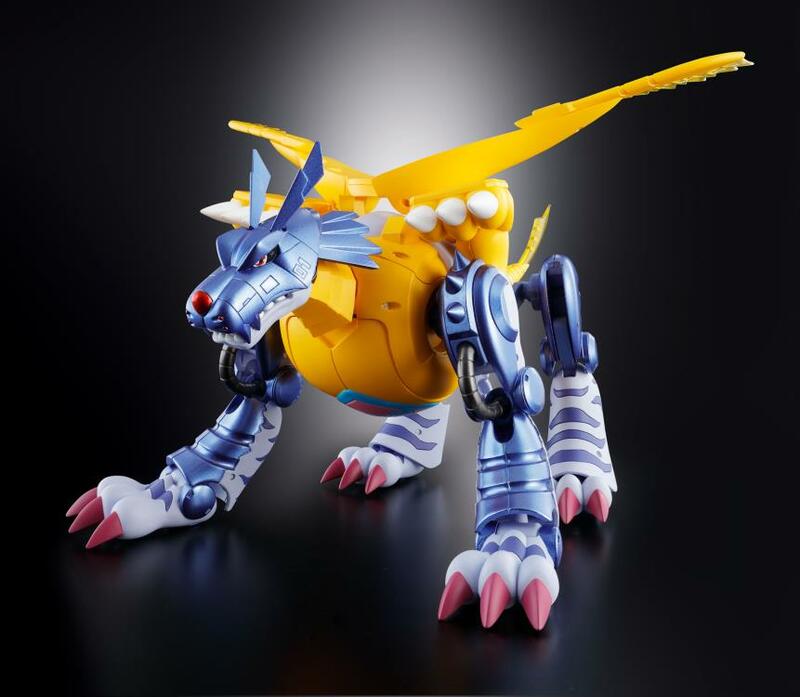 . . MetalGarurumon! 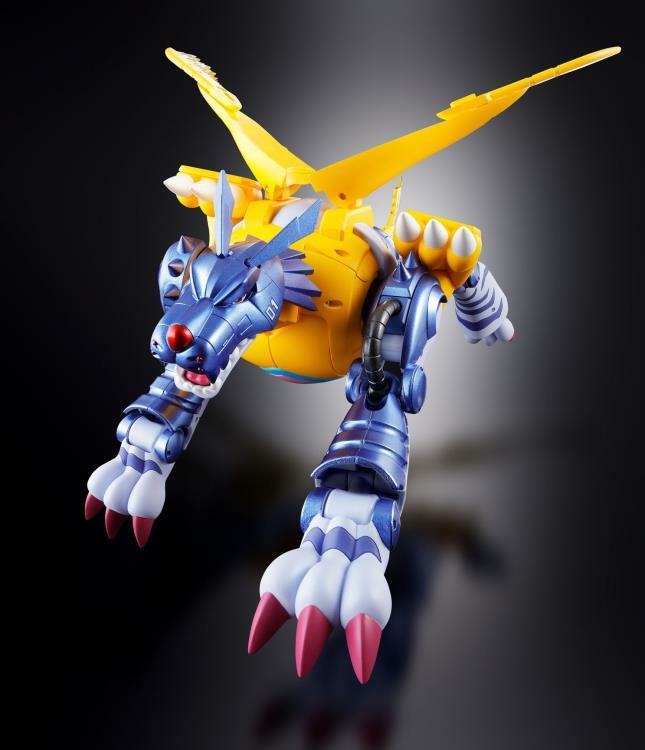 The smash-hit Digivolving Spirits series, which debuted in 2016, is a series of transforming Digimon toys aimed at discerning adult collectors. Now, for round two, the cyborg Digimon "MetalGarurumon" joins the fray! 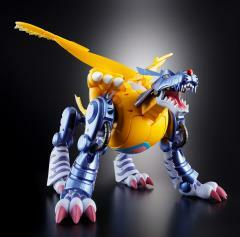 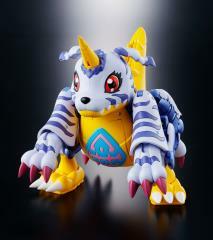 It perfectly replicates Gabumon's digivolution into its ultimate form. 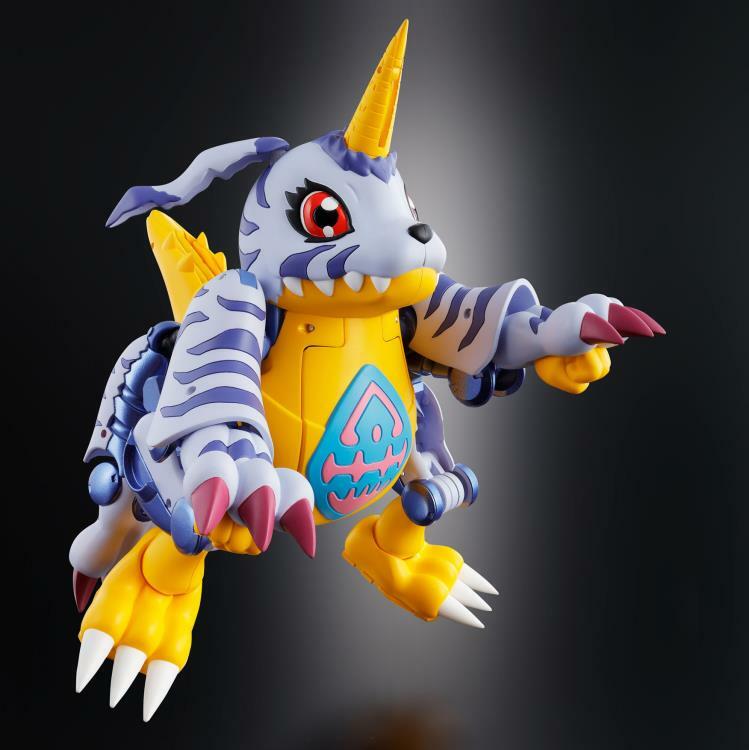 The charm of the Digimon is that they're cute before they digivolve, and supercool after. 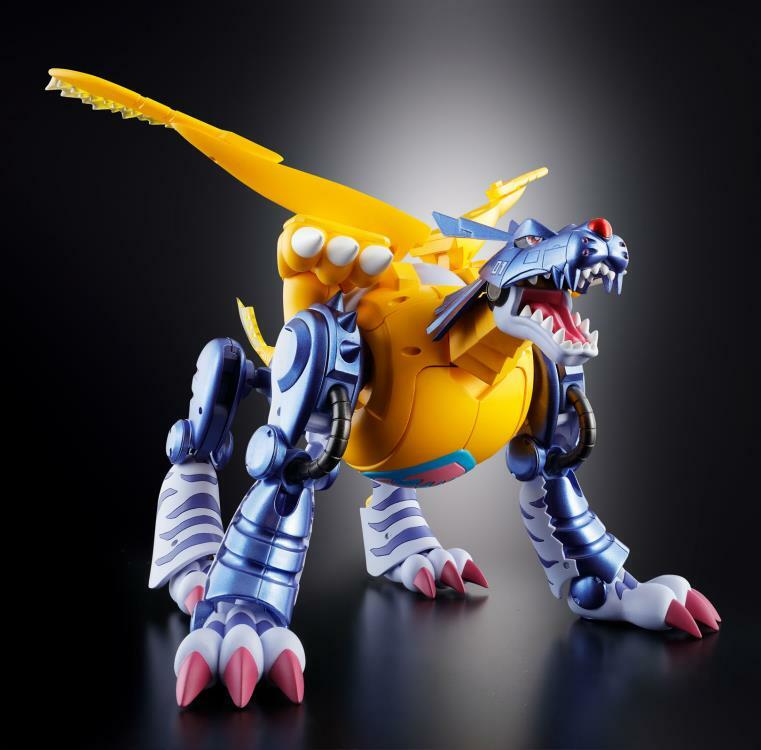 This transforming toy captures that transition without sacrificing either form. 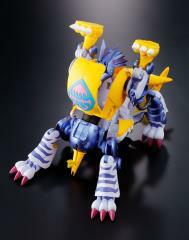 And it also uses die-cast metal parts throughout!